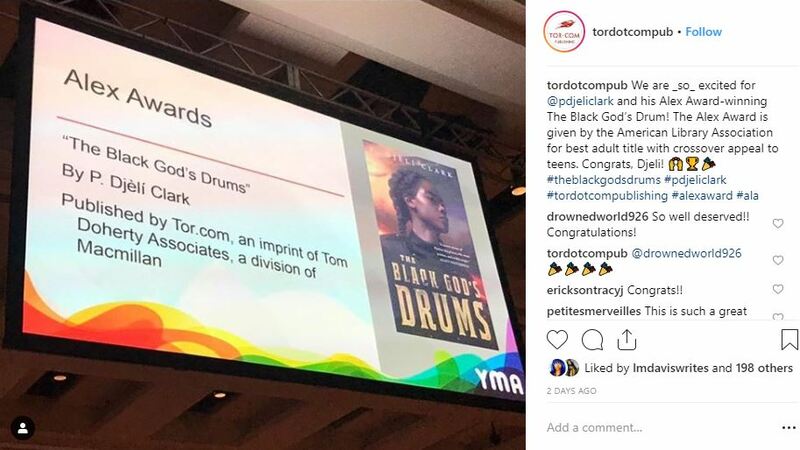 Major congrats are in order for P. Djeli Clark for winning an Alex Award for The Black God’s Drums! “In an alternate New Orleans caught in the tangle of the American Civil War, the wall-scaling girl named Creeper yearns to escape the streets for the air–in particular, by earning a spot on-board the airship Midnight Robber. Creeper plans to earn Captain Ann-Marie’s trust with information she discovers about a Haitian scientist and a mysterious weapon he calls The Black God’s Drums.